The deputy attorney general is a political appointee of the President of the United States and takes office after confirmation by the United States Senate. The position was created in 1950. Since April 26, 2017, Rod Rosenstein has been deputy attorney general. According to the United States Office of Government Ethics, a political appointee is "any employee who is appointed by the President, the Vice President, or agency head". As of 2016, there are around 4,000 political appointment positions which an incoming administration needs to review, and fill or confirm, of which about 1,200 require Senate confirmation. On May 14, 2007 Paul McNulty, then deputy attorney general, announced his resignation in a letter to Attorney General Alberto Gonzales. At the time, McNulty was considered "the highest-ranking Bush administration casualty in the furor over the firing of U.S. attorneys." Later, Gonzales himself would resign. Paul Joseph McNulty is an American attorney and university administrator who is currently the ninth president of Grove City College. He served as the Deputy Attorney General of the United States from March 17, 2006, to July 26, 2007. Prior to that, he was the U.S. Attorney for the Eastern District of Virginia. Alberto R. Gonzales is an American lawyer who served as the 80th United States Attorney General, appointed in February 2005 by President George W. Bush, becoming the highest-ranking Hispanic American in executive government to date. He was the first Hispanic to serve as White House Counsel. Earlier he had been Bush's General Counsel during his governorship of Texas. Gonzales had also served as Secretary of State of Texas and then as a Texas Supreme Court Justice. On December 7, 2006, the George W. Bush administration's Department of Justice ordered the unprecedented midterm dismissal of seven United States Attorneys. Congressional investigations focused on whether the Department of Justice and the White House were using the U.S. Attorney positions for political advantage. Allegations were that some of the attorneys were targeted for dismissal to impede investigations of Republican politicians or that some were targeted for their failure to initiate investigations that would damage Democratic politicians or hamper Democratic-leaning voters. The U.S. attorneys were replaced with interim appointees, under provisions in the 2005 USA PATRIOT Act reauthorization. Craig S. Morford is an American attorney and former acting United States Deputy Attorney General. 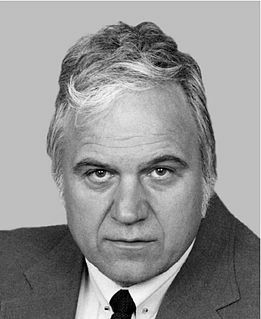 James Anthony Traficant Jr. was a Democratic, and later independent, politician and member of the United States House of Representatives from Ohio. He represented the 17th Congressional District, which centered on his hometown of Youngstown and included parts of three counties in northeast Ohio's Mahoning Valley. He was expelled from the House after being convicted of taking bribes, filing false tax returns, racketeering and forcing his aides to perform chores at his farm in Ohio and houseboat in Washington, D.C. He was sentenced to prison and released on September 2, 2009, after serving a seven-year sentence. Larry Dean Thompson is an American lawyer, most notable for his service as deputy Attorney General of the United States under United States President George W. Bush until August 2003. While Deputy Attorney General he signed a memo in 2002 denying deportation of Canadian citizen Maher Arar to Canada ultimately leading to his deportation to Syria where he faced torture. He also oversaw prosecutions against officials at Enron. 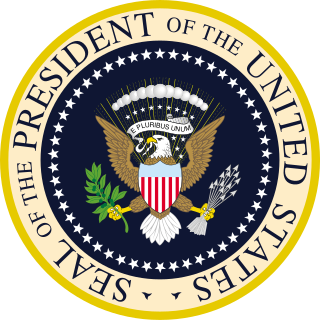 Within a week after the 2004 United States Presidential Election, many members of President George W. Bush's cabinet announced their resignation in what major media outlets and Bush himself called the White House shakeup. Several top advisers were also involved, although they are not technically cabinet members. Paul Drew Clement is an American lawyer. He is a former United States Solicitor General and current partner at the law firm of Kirkland & Ellis after its acquisition of his previous firm Bancroft PLLC. He is also a Distinguished Lecturer in Law at Georgetown University and an adjunct professor at New York University School of Law. 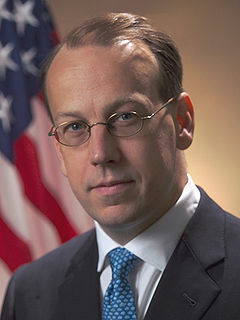 He was nominated by President George W. Bush on March 14, 2005, for the post of Solicitor General, confirmed by the United States Senate on June 8, 2005, and took the oath of office on June 13. Clement replaced Theodore Olson. Carol Chien-Hua Lam is a former United States Attorney for the Southern District of California. Lam was sworn into office on an interim basis on September 4, 2002. 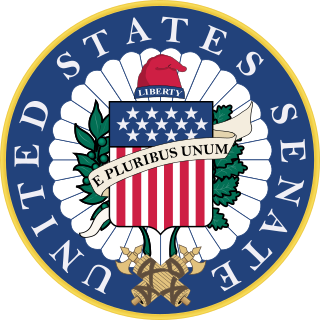 On November 12, 2002, Lam was further sworn in as a Senate confirmed Presidential appointee. She oversaw the Rep. Randy "Duke" Cunningham military contracting corruption case. Lam was one of eight attorneys fired in the Dismissal of U.S. attorneys controversy. Paul K. Charlton is a former United States Attorney and currently managing partner at the law firm of Steptoe & Johnson in the firm's Phoenix, Arizona office. Charlton concentrates his practice on high-profile and complex litigation, internal investigations and white-collar criminal defense. Charlton also represents a number of Arizona Native American governments, including Ak-Chin, Salt River Pima-Maricopa, Haulapai, the Navajo Nation, and Tohono O'odham. D. Kyle Sampson was the Chief of Staff and Counselor of United States Attorney General Alberto Gonzales. He resigned on March 12, 2007, amid the controversy surrounding the firing of eight United States Attorneys in 2006 and was cleared of any criminal wrongdoing in July 2010. In October 2007, Sampson joined the law firm of Hunton & Williams LLP as a partner in the firm's food and drug practice, where his practice focuses on FDA regulatory and enforcement matters. Brett Tolman was the United States Attorney for the District of Utah from July 2006 to December 2009. Before becoming U.S. Attorney, Tolman worked as counsel in the Senate Judiciary Committee for committee chairs Orrin Hatch (R-UT) and then Arlen Specter (R-PA) during the 109th United States Congress. Tolman’s most noteworthy work in the Senate is his role in the passage of the 2005 Patriot Act reauthorization. He was instrumental in the revisions to the appointment process of interim U.S. Attorneys and is a major figure in the dismissal of U.S. attorneys controversy. Monica Marie Goodling is a former United States government lawyer and Republican political appointee in the George W. Bush administration who is best known for her role in the controversy about the politically motivated firings of several United States Attorneys in 2007. She was the principal deputy director of public affairs for the United States Department of Justice, serving under Attorneys General John Ashcroft and Alberto Gonzales. A Department of Justice investigation concluded that she had violated the law, but she was not prosecuted because she had been granted immunity in exchange for her testimony. The Virginia State Bar publicly reprimanded Goodling in May 2011 for having "improperly utilized political affiliation and other political considerations when making hiring decisions for career positions." Johnny Sutton is an attorney who served as United States Attorney for the Western District of Texas from 2001 until 2009, and chaired the Attorney General's Advisory Committee of United States Attorneys. Sutton is known for the prosecution of United States Border Patrol agents Jose Compean and Ignacio Ramos. He is currently a partner with the law firm Ashcroft Sutton Ratcliffe, LLC in Austin, Texas. William Emil Moschella, a United States lawyer and former Associate Deputy Attorney General. 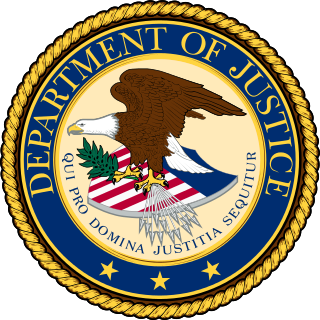 This article about dismissed U.S. attorneys summarizes the circumstances surrounding a number of U.S. attorneys dismissed from office in the United States Department of Justice in 2006. Eight were dismissed In December 2006, and others may have been forced out of office under similar circumstances in 2005 and 2006. The manner of the firings, the congressional response to them, and the explanations offered by Bush administration officials are aspects of a political controversy starting in the first quarter of 2007. As of May 2007 a clear explanation of why the attorneys were dismissed had not been put forward by the Bush administration or the Department of Justice leadership. There are in total 93 U.S. attorneys that serve 94 Federal district courts. The various documents obtained by request or subpoena during dismissal of U.S attorneys controversy by both the United States House and Senate Committees on the Judiciary, originally produced by the Department of Justice (DOJ) or White House have been made available to the public and press via the two congressional judiciary committees' web sites. The documents received a great deal of attention in the United States press from March 2007 onward, and have been repeatedly cited or excerpted in news reports, editorials and analyses. The documents largely include copies of memoranda and email among leadership and key individuals within the United States Department of Justice, as well as key members of the Executive Office of the President, commonly termed White House. The United States House Committee on the Judiciary and the Senate Committee on the Judiciary, have oversight authority over Department of Justice (DOJ). In 2007 it conducted public and closed-door oversight and investigative hearings on the DOJ's interactions with the White House and staff members of the Executive Office of the President. A routine oversight hearing on January 18, 2007 by the Senate committee was the first public congressional occasion that Attorney General Gonzales responded to questions about dismissed United States Attorneys (USAs). Both committees invited or subpoened past and present Department of Justice officers and staff to appear and testify during 2007, and both committees requested or subpoenaed documents, and made the documents that were produced publicly available. George J. Terwilliger III is an American lawyer and public official. He is a partner in the Washington, D.C. office of McGuireWoods LLP where he is head of the firm's Crisis Response practice and co-head of its white collar team. He is a former United States Deputy Attorney General and acting United States Attorney General. Terwilliger, of Vermont, was nominated on February 14, 1992, by President George H.W. Bush to be Deputy Attorney General at the U.S. Department of Justice. He succeeded William Pelham Barr. As Deputy Attorney General, Terwilliger became the second-highest-ranking official in the United States Department of Justice (DOJ) and ran the day-to-day operations of the Department, serving in that position from 1991 through 1993. He was appointed to the position by President George H.W. Bush after serving as the United States Attorney for the District of Vermont, appointed by President Reagan. The President's Surveillance Program (PSP) is a collection of secret intelligence activities authorized by the President of the United States George W. Bush after the September 11 attacks in 2001 as part of the War on Terrorism. Information collected under this program was protected within a Sensitive Compartmented Information security compartment codenamed STELLARWIND. ↑ "DOJ: JMD: MPS: Functions Manual: Attorney General" . Retrieved January 25, 2009. ↑ "Paul McNulty's Resignation Letter" (PDF). Washington Post. May 14, 2007. Retrieved January 25, 2009. ↑ Lara Jakes Jordan, The Associated Press (May 14, 2007). "McNulty, Justice Dept. No. 2, Resigning". The San Francisco Chronicle. Archived from the original on May 31, 2007. Retrieved January 25, 2009. ↑ Lara Jakes Jordan, The Associated Press (July 20, 2007). "Bush Picks Justice No. 2". Fox News. Retrieved January 25, 2009. ↑ "The President's Day". Harry S. Truman Library and Museum. August 3, 1951. Retrieved February 23, 2016.